This tutorial will show you how to build a beautiful login and registration UI with Angular Material. We'll look at the various Material design components and how they can be used to bring about professional-looking applications. 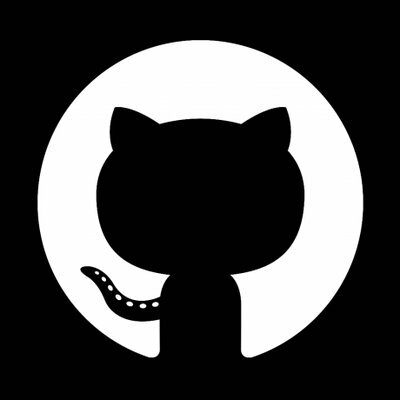 The complete code for this tutorial can be found in our GitHub repo. We will start by creating an Angular application. Hopefully, you already have Node.js and Angular CLI installed in your working environment. Use the following command to create a new Angular app. This command creates all the files needed to bootstrap an Angular application. The next step will be to add Angular Material in your application. Let's generate those components now. The beauty of Angular Material is that it comes with pre-built themes, so you can easily bootstrap the look and feel of your application by simply plugging in some simple snippets of code to your app. To add a theme, simply import it to style.css. We want our UI to feature a navigation bar with links for registration and login. So we'll create a navigation bar with two buttons that link to the app components. To create a toolbar and buttons, you use the <mat-toolbar> and <mat-button> components respectively. Go ahead and add the HTML code for the UI in src/app/app.component.html. Notice that we have also added links to the routes. Next, we will add some styling to our UI. Open app.component.css and add the following CSS styles. You also need to import the modules from @angular/material. You can choose to import them from the main module or create a separate module that will contain all the Material design modules. Since we will be working with many of these modules when creating the rest of the UI, we will create a separate module for all the components. Go ahead and create a new file src/app/material.module.ts. Add the modules for the <mat-toolbar> , </mat-toolbar-row>, and <mat-button> components in the file as shown below. Then, from other components in our code, we only need to include the module we just created—app/app.module.ts—as shown below. Issue the ng serve command to test your application, and you should see a nice-looking navigation area with Register and Login links. Routing enables users to navigate between different pages. To enable routing in our application, we will first define the routing configuration. To do that, add the following code to app.module.ts. We've placed the router outlet so the components will render below the navigation bar. But first, let's import them in src/app/material.ts. We will start with the <mat-card>, which will contain all the content in the registration UI. Open registration-component.component.html and add the following code. Next, we will add an HTML form inside the content section that will contain all our form fields. Next, we will add form fields for the first name, last name, address, email, and password. We will be using <mat-label> to create labels and <input matInput /> to create the input fields. Next, we will add a checkbox for gender and a date picker for date of birth. We will use <mat-checkbox> and <mat-datepicker> which have enhanced Material Design styling and animations. The last bit will be a button after the </mat-card-content> for submitting the user information. Let's put some styling on our forms to make them more presentable. Open create-account.component.css and add the following CSS styles. Just like we did for the registration UI, we will have a Material card component to house the login form. The HTML code for the Login page is shown, which contains two inputs for email and password credentials. This tutorial has covered most of the Angular Material components needed to make a fully functioning UI. As you have seen, Angular Material is very easy to use since all the components have predefined styles. This means you can quickly build beautiful UIs. Additionally, the Angular Material documentation provides a lot of examples and is easy to follow.